This book, first published in 1972, offers a detailed analysis of the post-war formulation of foreign policy, as Britain sought to detach itself from its imperialist past and moved towards a European future. 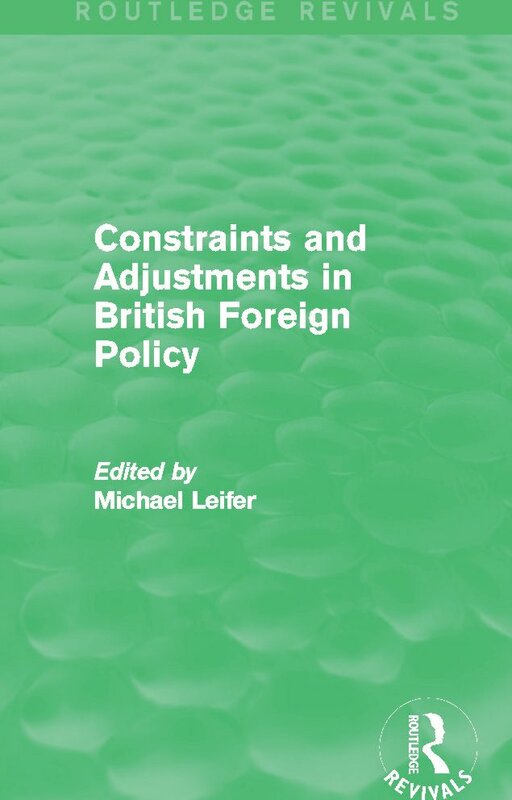 The contributors – all experts in their fields – together provide a comprehensive commentary on the complexities of the external pressures that moulded British foreign policy during these years. The subjects covered highlight the dichotomy of, and interaction between, residual obligations and new goals and national aspirations. These include the examination of past policies regarding the Commonwealth, South-East Asia, NATO, and the ‘special relationship’ with the U.S.A., as well as multi-national companies and Britain’s place in the changing global society. This reissue will of particular interest to students and academics researching the history of British foreign policy, international diplomacy and development, and post colonialism.